one of my favorite things in the world is a good cheese plate. they can be served simply with a few types of cheese or extravagantly with cheese, meats, nuts, honey, olives, etc. depending on what I have in my fridge, I often throw together a cheese plate, open a bottle of wine and relax. a great cheese plate with red wine has to be one of my favorite evening activities. my husband and I like to enjoy them on the back patio when the weather is nice. 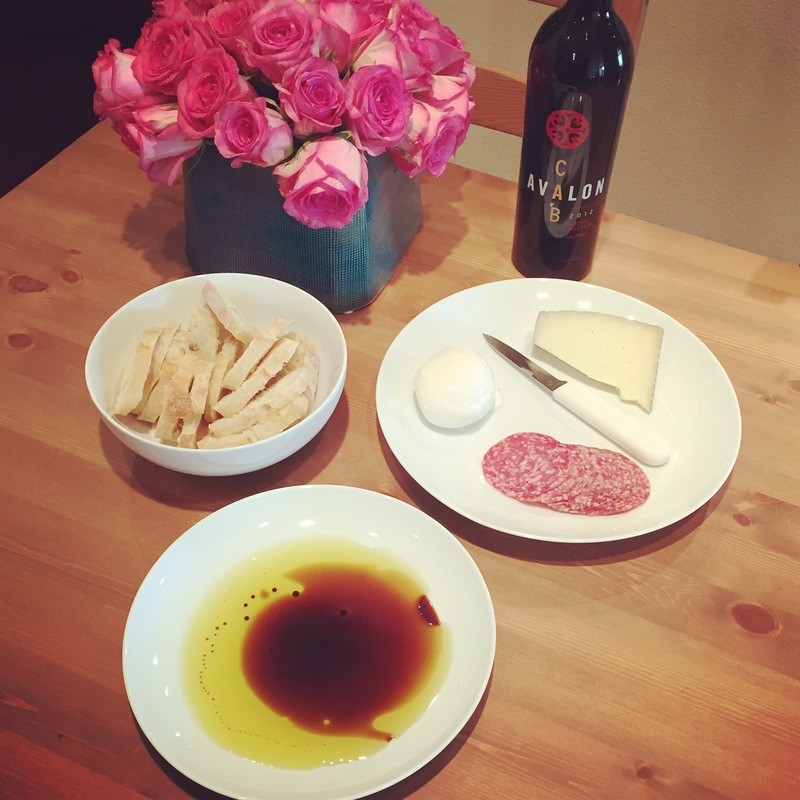 here is a simple cheese plate a put together for a little before-dinner tappas. I use balsalmic vinegar in a lot of my cooking. dipping bread into oil and balsalmic vinegar is one of my yummy guilty pleasures. I usually add a mixture of Italian seasonings, salt and pepper into the oil mixture. I could eat it every day. on this cheese plate, I served sliced baguette with tunisian olive oil, balsalmic vinegar, italian salami, manchego and burrata. super simply but a yummy treat and a fun way to sit and chat. this cheese plate was made in anticipation of some girls coming into town for a “ladycation” weekend. I set out burrata, manchego, brie, sliced tomatoes tossed in olive oil and crushed garlic cloves, walnuts and salami. 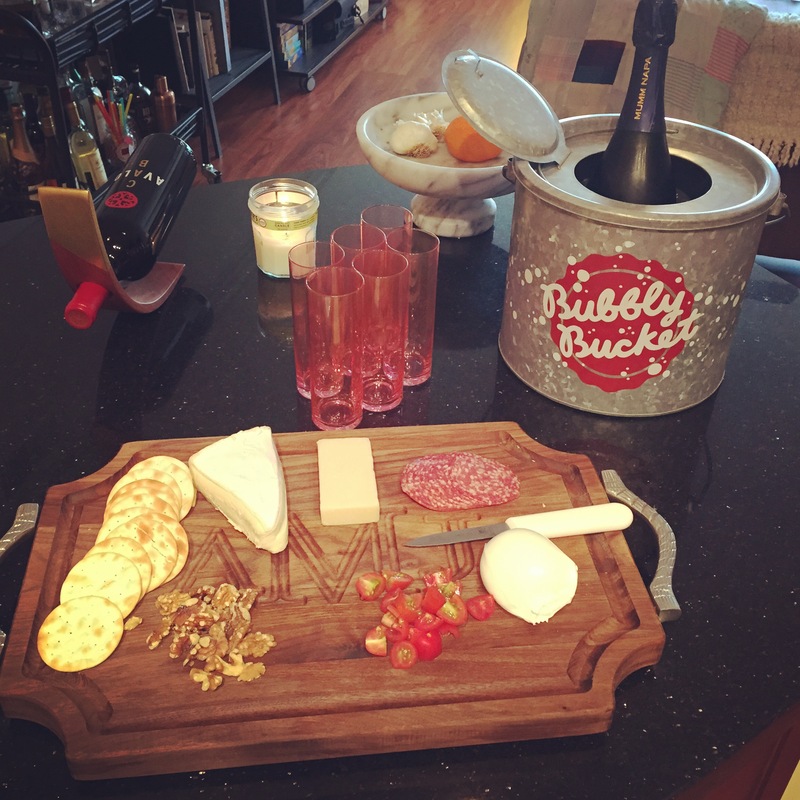 we of course also needed the bubbles to toast to a fun weekend. thanks to my sister for the super cute stemless pink flutes! try your hand at making a cheese tray and play around with it. you’ll love it!